Take a look at the flutes and piccolos available today, and you’ll understand why it can be confusing to choose just one. 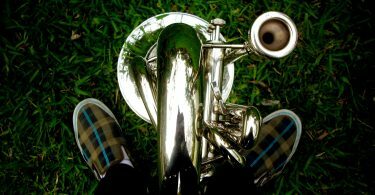 So, if you are having trouble deciding which wind instrument to get, here is a list of the top flutes and piccolos on today’s market. After a careful evaluation of many of them, here are five that competed for first place. So, keep reading, and you’ll be able to choose the best one for you. The sound is crisp, vibrant, and professional. Durable, the keys and pads are very solidly made. This package has everything you need to play and care for your flute. When choosing the best flute and piccolo for your needs, don’t limit yourself to only what you’re familiar with, so you can expand your musical horizons. If you have always played the flute, making the switch to the piccolo is a valid option for you and vice versa. Both instruments are extremely alike, making it a simple transition to go from one to the other. It’s helpful to be able to play both. While looking at flutes, you may feel overwhelmed, thanks to the number of flutes currently on the market. Think about what type of flute you’re looking for first. 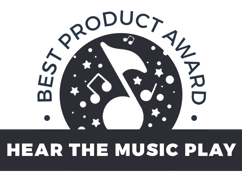 Your choices include C flutes, alto flutes and bass flutes. You should also consider your flute-playing experience. Look for a flute that is an appropriate choice for your skill level, whether you’re a beginner, intermediate or advanced flute musician. That overwhelming feeling can also come when you’re looking at all the piccolos available. Just take a step back and consider a few things to make choosing the right piccolo an easier decision for you. Carefully evaluate your playing level when it comes to the piccolo. If you are an advanced flute musician and this is your first piccolo, look at beginner piccolo models to help you learn and adapt easier. 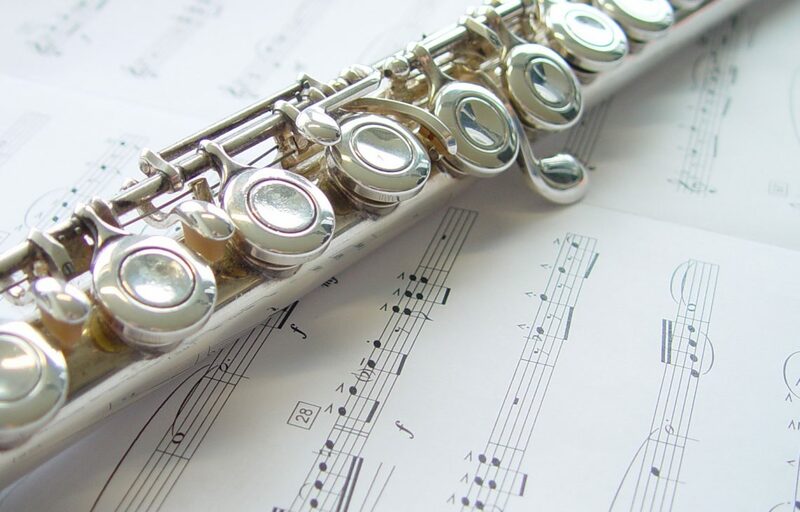 However, if you’ve played the piccolo before and are confident in your playing skills, an intermediate or advanced piccolo may be a better fit for you. When you try to choose the top flutes and piccolos for your skill level, be honest with yourself about it. Once you master one skill level, you can upgrade to the next level. Attempting to start off too strong with a skill level you are not prepared for can make the purchasing experience even more overwhelming. Whether you’re buying a flute or piccolo, it is wise to consider brands with a solid reputation. This will ensure you’re not buying a poorly-built model. You want your instrument to last. The well-trusted brands build their instruments to last and care about the satisfaction of their customers. To find the best flute and piccolo possible, look at the materials the company uses. 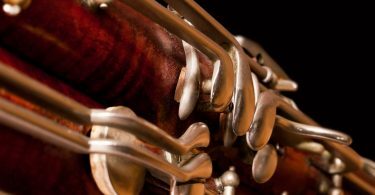 Most instrument companies use metal or wood for their flutes. Piccolos come in metal, wood, plastic or a combination of metal and plastic. Be sure to choose an instrument with the materials you think you would be the happiest with as this is a matter of personal preference. You also want to consider your budget when shopping for a musical instrument. If you’re a beginner, you may not want to spend a lot on your first flute or piccolo. 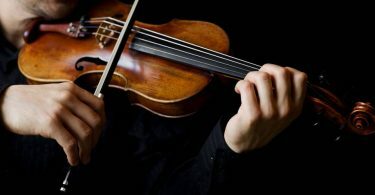 You may find you prefer another instrument or you may want to upgrade later as your skill level increases. The last thing you should look at when buying the best flute and piccolo for your money is the design. All musicians want an instrument that is easy to take apart, clean and put back together. If it isn’t, chances are you won’t clean your flute or piccolo as much as you should. Dirt and debris can affect the sound and durability of the various parts. 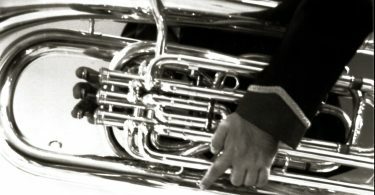 Having an instrument that is easy to put together is also important if you play professionally. You don’t want to struggle with time constraints because of the design of your flute or piccolo. The last thing you need is to be stressed out by your instrument before you have to go out and perform in front of an audience. These are just some simple things you want to consider when selecting the flute or piccolo that is right for you. While you can always upgrade later, you won’t want to replace your instrument immediately. So, choose an instrument that you’ll be satisfied with for a while. Keeping these tips in mind will help you to ensure you’re making the best decision when flute or piccolo shopping. Hopefully, these reviews of the five top flutes and piccolos show you some of the best choices available for your selection. The Top Flutes and Piccolos: Which Instrument is Better? Flutes and piccolos are similar instruments. Piccolos have some alternate fingerings, but the major fingerings are the same between the two instruments. Also, piccolos are smaller than flutes and because of this, they have a smaller tone hole. Piccolos also need more air support to reach the higher notes. The sound is also different between the two instruments. The piccolo has a higher pitch, and for this reason, it has earned the classification of the highest-pitched instrument of them all. With all the similarities between them, flute players can easily adapt to the piccolo and visa versa. Many musicians wonder if the flute or a piccolo is the better choice. The truth is, it all comes down to the type of music you want to play. If you’d just like to learn to play one or the other instrument, then either would be a suitable choice. However, if you’re looking for an instrument capable of reaching the highest pitches possible, then the piccolo would be the perfect choice for you. 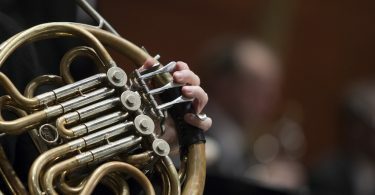 If you’re playing as a student or in an orchestra, you probably know which instrument you need. Neither instrument is superior to the other. All instruments create beautiful music that you can learn and master. Therefore, it isn’t possible to classify any instrument as better. This list to help you select which flute or piccolo would be your best choice for the perfect play-ability. Although reviewing musical instruments and equipment is enjoyable, doing two at once is a lot of fun. Hopefully, you’ll enjoy the selections on this list of the top flutes and piccolos. Keep reading to find out which five flutes and piccolos made the cut. Up next is the top pick. The sound of the Lazarro flute is crisp, vibrant and professional. 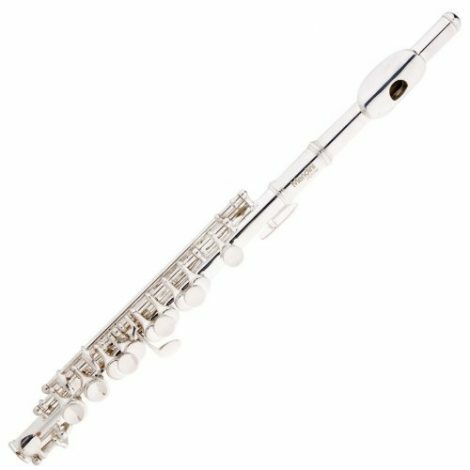 This flute is also durable and comes with solidly-constructed keys and pads. It also comes in a complete package with everything you need to play and care for your flute. For these reasons, it is the winner of this list of the top flutes and piccolos. This is the only flute you will need because it is the most popular C-note flute. Lazzaro takes special care to manufacture only top-quality flutes. The design of their flutes ensures durability. The keys and pads are very solidly made. Lazzaro flutes accommodate all skill levels. This versatility means you won’t have to worry about a future investment on another flute as your skill level increases. The Lazzaro flute also comes with a solid carrying case and essential care kit. This kit helps you carry, clean and care for your flute without having to buy anything additional. 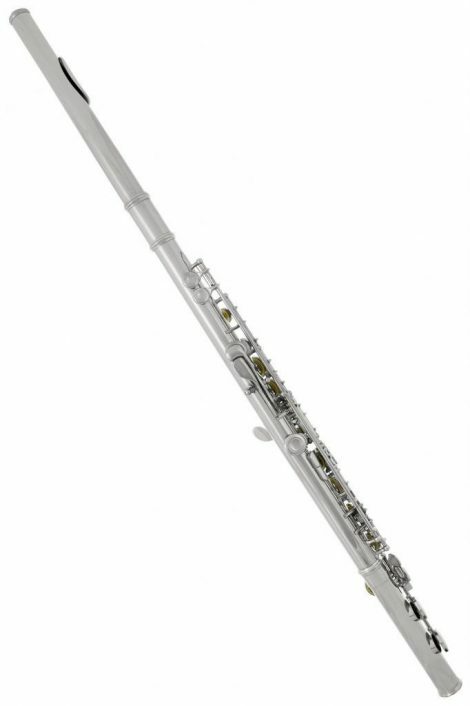 This Lazzaro flute is also appropriate for any playing location including concerts, orchestras, lessons and bands. 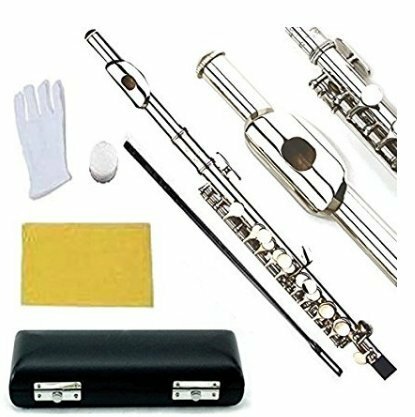 This flute package has everything you need for your flute. Your package comes with your flute, carrying case, gloves, cleaning cloth, cleaning rod, screwdriver and grease. Although the Lazzaro flute is a low maintenance flute, it is easy to replace the pads and parts, if necessary. The only downside is that the flutes in colors other than silver tended to rub off and become dull. This could be a little embarrassing when playing music in public. The solution is to buy the silver model. Instead of focusing on just flutes, here is a piccolo as the runner up on this compilation of the top flutes and piccolos. So, after a careful evaluation, it was easy to select the Glory Key of C Piccolo. This is a closed hole C-key piccolo, which is a common piccolo, similar to the C-note flute. Glory is a top brand name among piccolos, so you can be confident they make all their piccolos to last. This piccolo plays beautifully, so you’d never realize how affordable it is when you look at it and hear it play. It’s a long-lasting instrument that you should keep as a backup option, even after your skill level increases. This piccolo comes with a carrying case, cleaning cloth, cleaning rod, joint grease and white gloves, ensuring any piccolo musician is all set with the purchase of this Glory piccolo. While there is a lot to boast about this piccolo, there are a few things musicians may not be happy with. The idea of storing the cleaning cloth and rod inside of a piccolo so you don’t lose them is convenient, but they don’t seem to fit inside the case. Purchasing a different cleaning cloth and rod could fix this issue. Another problem is that the tuning isn’t exactly up to par. The Glory piccolo doesn’t seem to tune well. The low cost makes this piccolo an attractive choice. However, this piccolo belongs on this list because, while it meets the needs of most beginners, more advanced players can also play it well. This list contains reviews of the top flutes and piccolos, including five options that suit most musicians. However, the best part about this detailed list is being able to take the guesswork out for bewildered flute or piccolo shoppers. The outer appearance of this flute is attractive and it plays beautifully. The finish does not hold onto fingerprints, so it maintains its beautiful appearance, even after heavy handling. It is simple to use, making it is suitable for beginner flute musicians who are just learning. However, once your skill level increases, an upgrade would be a wise choice. The Mendini brand is a well-trusted brand, so they made this durable flute to last. So, even after upgrading this flute, you could keep it as a backup. The sound output from this flute is surprising for a beginner model. In fact, it is almost at the same level you would expect from a more professional flute for increased skill levels. 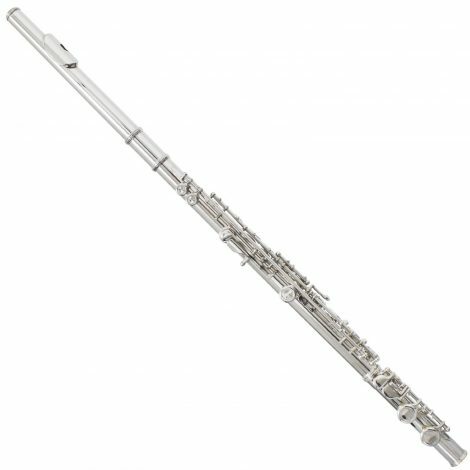 This flute provides great play-ability and functionality; however, go for the silver model. The Mendini flutes in various colors may flake off after extended use, which can be a problem when playing publicly. Overall, this is a proper flute for beginners. Any beginner would be satisfied with this Mendini flute until their skill level increases. This flute by Glory produces a beautiful sound and is pleasing to the eye. The design is perfect, and it fits together nicely. Musicians will appreciate the fact this flute comes with a cleaning kit, so they can always take proper care of it. The layout of this flute is also helpful, especially for beginners. This has an offset G and C foot. An in-line G is usually a struggle to reach, especially for beginners. Beginner flutists will be pleased with this design layout. This is a perfect beginner flute for its ease of use. The sound output is crystal clear and smooth. However, as with anything; where there are pros, there are also at least a few cons. Although the Glory C flute comes with a cleaning rod, we weren’t fond of the plastic cleaning rod instead of a metal one. There are also some problems with how this flute goes together. It is hard to assemble and takes some force. This is not a flute you want to use if you have a serious time constraint as putting it together can hold you up. Overall, you will be happy with this flute. Being a Glory flute, it will last and musicians of any skill level can play it, even though they made it for beginners. The seems to be more flutes than piccolos on this list. But there are a couple of piccolos that made the cut for top flutes and piccolos. While Mendini is a brand on the list of recommended flutes, they also make piccolos. 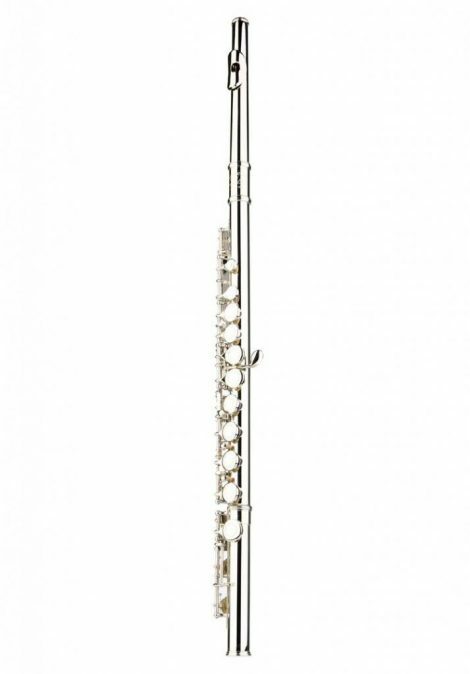 The MPO-S silver plated piccolo is suitable for both beginner and intermediate piccolo musicians. That means it will be much longer before you tire of this piccolo and are ready for an upgrade. The sound output is nice and the outer appearance is also attractive. It has an easy grip and the keys don’t stick like other piccolos do. This is a proper piccolo for experienced piccolo players, as well as someone looking to learn to play. This is an easy piccolo for a flutist to adapt to and learn to play, too. The only complaint is with the cleaning cloth. It does not fit inside the piccolo, which makes it impossible to clean the inside. However, you can solve this issue by purchasing a different cleaning cloth. As a piccolo that can suit both beginner and intermediate piccolo musicians, it is a quality instrument. This list of the top five flutes and piccolos should help you find the right instrument for you. Be sure to think about your skill level and what you hope to do with your flute or piccolo playing. Now that you have a better idea, get out there and start making beautiful music. 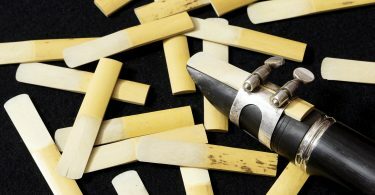 A Musician’s Review: Which Woodwind Reed is the Best?